Terry Richardson and Alexandra Bolotow have welcomed twin boys. | HELLO! Terry Richardson has taken to Instagram to reveal he and girlfriend Alexandra Bolotow have welcomed twin boys. The fashion photographer, 50, shared a sweet snap of Alexandra with the babies, and revealed their adorable names. Alexandra, 33, gave birth to Rex and Roman last weekend, and Terry was quick to praise her for gifting him with their sons. 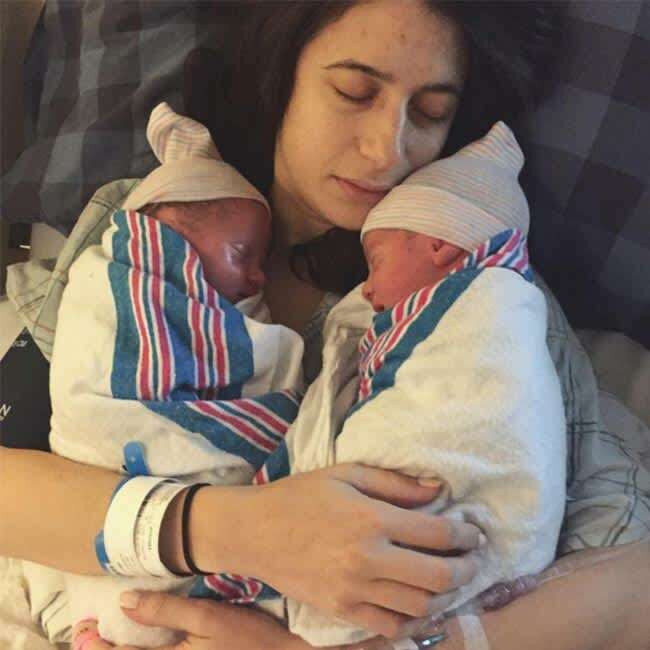 He wrote: "Watching this woman rock it through an insane delivery and push out our babies was the most intense, inspiring, exhilarating and humbling experience of my life. "So blessed and grateful for this sweet family. Welcome to the world Rex + Roman. March 19th 2016, 6.23pm and 6.35pm, 6lb 1oz and 6lb 10oz." Just days before Terry revealed Alexandra was excited at the prospect of meeting their babies, sharing a photo of her and blossoming baby bump. He added: "TGIF I think somebody is very happy to be at the end of their pregnancy." Terry has kept his Instagram fans up-to-date on their baby journey, last month posting a photo of Alexandra having a scan during New York Fashion Week. Then, as Alexandra celebrated her 33rd birthday, he uploaded a snap of her bump covered in white frosting with four lit candles. "Happy birthday skinny," he added. He also used social media to confirm they were expecting last year. Sharing a screengrab of Page Six reporting Alexandra's pregnancy, he wrote: "We weren't planning to make this news quite so public so soon, because we are very cautious after going through some difficult and heart-breaking losses, and always afraid of jinxing it, but since the cat is out of the bag… Skinny and I are excited to let you guys know that we are expecting TWINS in the spring! "This has been a difficult journey and we are so thankful to be surrounded by so much love and support from our friends and family, and some incredibly smart doctors! I'm sure the kids will be excited to use this as a Throwback Thursday one of these days!"